MSNBC's recent bout of on-air disasters has led to an executive now reviewing scripts before they go on television, according to a new story in the National Review. The role, which has fallen to Rich Stockwell, a former executive producer of The Ed Show and Countdown with Keith Olbermann who now oversees special projects at the network, was created as several of the network’s hosts have, to the embarrassment of network brass, conducted a master class in political incorrectness. 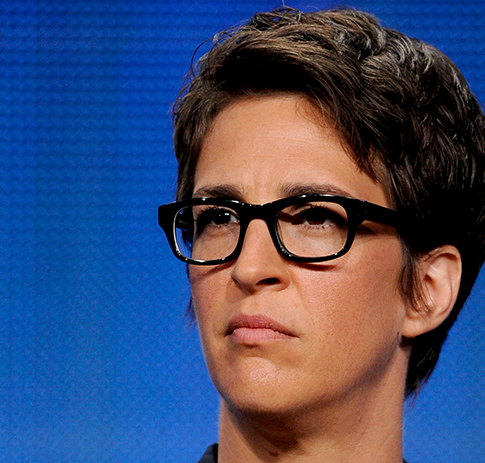 In recent months, Alec Baldwin, Martin Bashir, and, most recently, Melissa Harris-Perry have awkwardly crashed into the trinity of sexual orientation, gender, and race, leading many to wonder if there are any adults in charge at MSNBC. Bashir resigned in November after vile comments directed toward Sarah Palin in a show-closing rant about her comparison of the national debt to slavery. Bashir strongly implied that someone should defecate in her mouth, and though he apologized unreservedly in his next broadcast, he later resigned. Most recently, Harris-Perry, a weekend host and frequent contributor on the liberal network, led a cringe-worthy panel discussion about a photo of Mitt Romney and his family, joking about his recently adopted African American grandson. One panelist even crooned, "One of these things is not like the other," and another said it summed up the diversity of the Republican Party. Harris-Perry tearfully apologized on Saturday morning's show for mocking the child and making light of transracial adoptions, but her job does not appear to be in jeopardy. However, Baldwin was dismissed from the network after just five episodes of his Friday night show Up Late, although that was for off-air comments directed toward paparazzi that included a homophobic slur. Johnson's story delves into the increased role of flagship host Rachel Maddow at the network and the ascendancy of wonkish liberals like Chris Hayes, Alex Wagner, and Ezra Klein who are part of the "in-crowd." This entry was posted in Culture and tagged Alec Baldwin, Chris Hayes, Journalists, Martin Bashir, MSNBC, Rachel Maddow. Bookmark the permalink.